Home / Blog / Why Choose Theo’s Timber Ltd? Choosing Theo’s Timber Ltd ensures that you have access to an exclusive range of wood and timber materials. 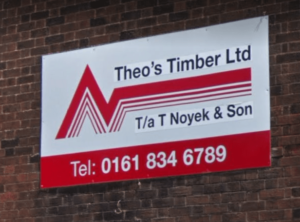 Whether you are looking for construction grade timber or wood for your DIY projects, you get the best timber merchants in Manchester at Theo’s Timber Ltd. The friendly and resourceful customer support team will advise you on the best wood to purchase. Merchants at Theo’s Timber Ltd are experienced and have useful knowledge in construction which you can benefit. If you are looking for the best timber merchants in Manchester, you won’t go wrong when you choose Theo’s Timber Ltd. You will have access to excellent quality products with an accurate finish. If you are onto a project that needs structural support, Theo’s Timber Ltd will provide you with timber cut down to the size you specified. Whether you want a round fence post or rectangular sleepers, the professional merchants will use professional grade equipment to cut them down to precision. The timber is treated to enhance sustainability. Because it is an outdoor project, you will need material that can withstand the harsh external environment. The improved durability of products offered by Theo’s Timber Ltd ensures the timber serves you for an extended period. If you want timber for specific jobs, Theo’s Timber Ltd guarantees to deliver on your specifications. The experienced merchants are among the best timber merchants in Manchester. You will get expert advice on the best way to achieve the design. Theo’s Timber Ltd have a friendly customer team that is dedicated to serving you to your satisfaction. Working with merchants who have experience in timber trading and construction will prove helpful if you have a decorative project to complete. Aside from offering you high-quality products, Theo’s Timber Ltd is a one-stop shop for your timber and wood needs. Choosing to work with Theo’s Timber Ltd saves you time because you don’t have to move from shop to shop to get all that you need. The industrial knowledge of the merchants is also beneficial in helping you make decisions. Your timber will be cut down to size using a professional grade sawmill so that you leave with timber that has been correctly prepared. High-quality timber is long lasting; serving you for an extended period. Experienced merchants have valuable knowledge in timber trading and construction. Consider working with reputable timber merchants to get excellent quality products. To find more details about our wide range of products and services, please call us on 0161 834 6996 or fill in the enquiry form below and we will get back in touch asap.